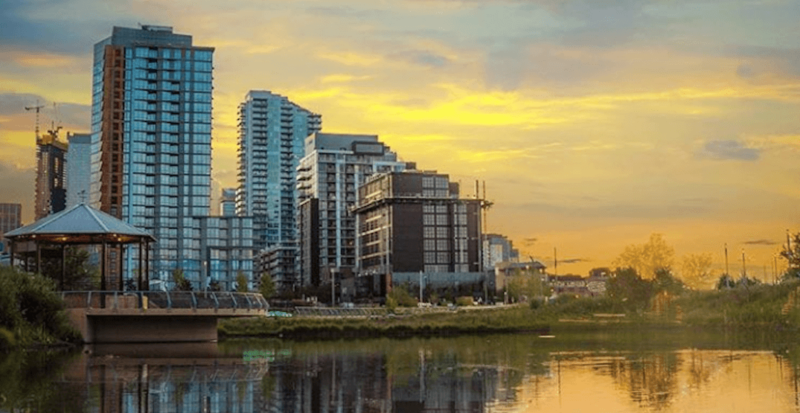 It’s no secret that millennials in some of Canada’s biggest cities are in a tough spot when it comes to getting into the real estate market. 20 years just to save up for a down payment in Vancouver? No thanks. 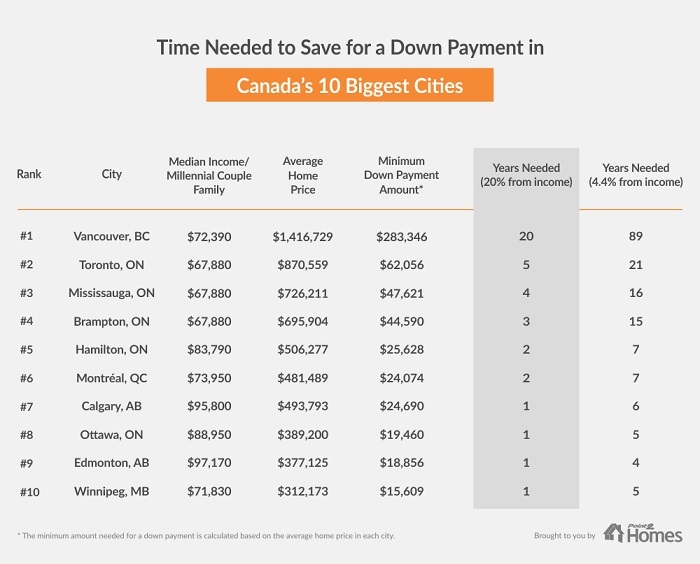 There is some hope, however, as the same study also included just how long it would take for the average millennial to save up for a down payment in a few of Canada’s other big cities. It’s actually not that bad — depending on where you want to own. According to the stats from the Point 2 Homes study, Calgary is not only just among the big Canadian cities where homeownership for millennials can be more than just a pipe dream, but it is the most affordable when looking at cities with over one million residents. Edmonton, Ottawa, and Winnipeg are all close to Calgary as far as affordability vs. size is concerned, with each only requiring a millennial couple/family (earning the median income for that area) just one year of saving 20% of their income to be able to afford a down payment. Again, that’s on the average home price in each city, so results may vary. Even if a millennial couple/family could only manage to save 4.4% of their annual income for a down payment, it would take 83 fewer years for them to scrounge together the necessary amount in Calgary (six years) rather than in Vancouver (89 years). Seeing as the average life expectancy for Canadians is around 82 years old, you’ll need to start saving for a down payment the moment you’re born AND live 7 years longer than the average to even begin paying a mortgage in Vancouver, at that saving rate at least. So yeah, six years for Calgary is not looking so bad.